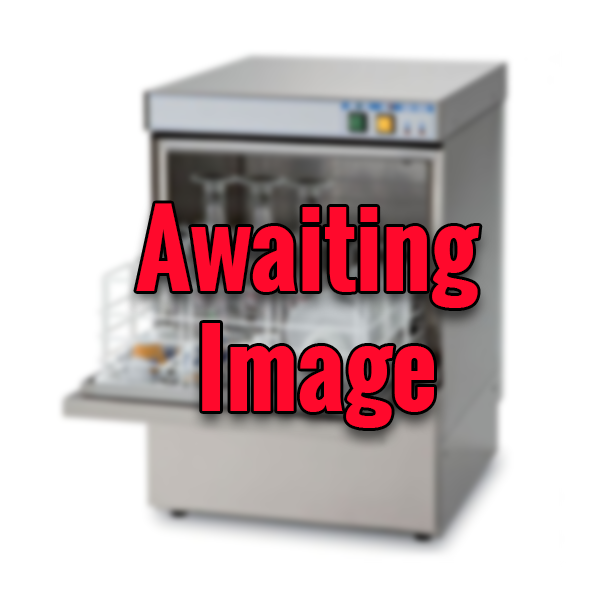 Introducing the new Winterhalter UC-M Bistro Washer, part of the new Masterpiece collection. Completely revised from the outgoing model and with every detail refined. Now with a 2 year parts & labour warranty. 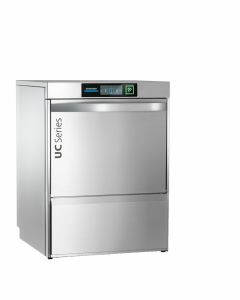 Developed with an eye to the future the new Winterhalter UC-M Bistro Washer is equipped with the latest technology and can be connected to digital networks. Made with German build quality, it meets customers needs across the board, whether in bars, cafes, bistros, restaurants or bakeries. Featuring three wash programmes that automatically adapt to the shape and size of the level of soling, the new UC-M uses 25% less water compared to the previous model. Electricity and chemical use also drop, all with first-class wash results. 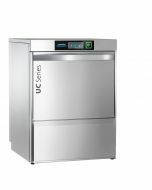 Depending on the usage, the Winterhalter UC-M can be customised into four different basic versions: dishwasher, glasswasher or bistro and cutlery washer. 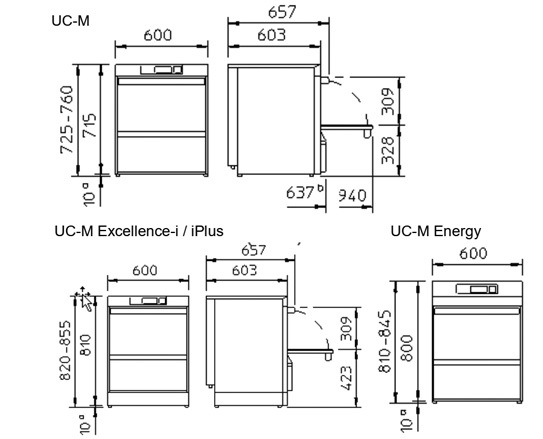 The Winterhalter UC-M comes customised precisely to your specific needs. Every machine has three programs which adapt to the shape and size of your wash items and the level of soiling. 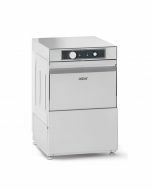 If your preferred application ever changes, your service technician can reconfigure the machine and turn a dishwasher into a bistro washer, so you always have flexibility. Sparkling and hygienically clean. Visually unblemished. 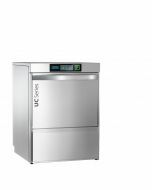 The Winterhalter UC-M Bistro Washer guarantees perfect dishes every time. For the highest standards of cleanliness and hygiene, alongside the highest standards of quality and reliability. 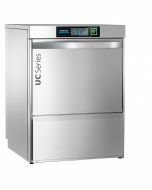 The Winterhalter UC-M Bistro Washer is prepared for the future: A clear user interface with self-explanatory pictograms features gesture control we all know from smartphones. The display responds sensitively and is also easy to use when wearing gloves. The surface is made of glass and is very robust, tested under extreme conditions. 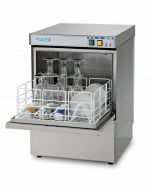 Every UC-M Bistro Washer has Winterhalter VarioPower fitted as standard: the automatic variable water pressure regulation in combination with the selected washing programme ensures that fine dishes are washed at low water pressure, while sturdy dishes are washed at higher water pressure. Optional energy heat recovery systems allow Winterhalter UC warewashers to operate with less energy consumption, maximum efficiency and a more comfortable room climate. This efficient patented circulating air heat recovery system can be fitted to all Winterhalter UC-M machines. For even better wash results and to protect the machine your Winterhalter UC-M is available with an integrated softener as an option. This is built into the machine to save space and provides continuous soft water. As a result, detergent and rinse aid can take optimum effect and limescale deposits inside in the machine are reduced significantly. For the highest standards of water quality, the Winterhalter UC-M can be fitted with the UC Excellence-I option. This provides a fully integrated reverse osmosis water treatment system to provide sparkling dishes with no polishing required. 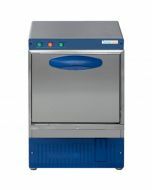 Greater safety, greater efficiency: the Winterhalter UC-M can be linked to a computer or mobile device via CONNECTED WASH. This enables analysis and evaluation of all-important operating data, for optimisation of the entire dish washing process. 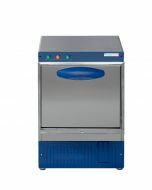 Winterhalter warewashers are specialist commercial washing systems. Our expert consultants have a wide range of knowledge on these machines, their configurations and applications. Together, we can analyse your washroom process, plan your needs and choose the optimal equipment. We can even plan your installation and provide training to your staff. When it comes to dishwashing, we’re always there for you.